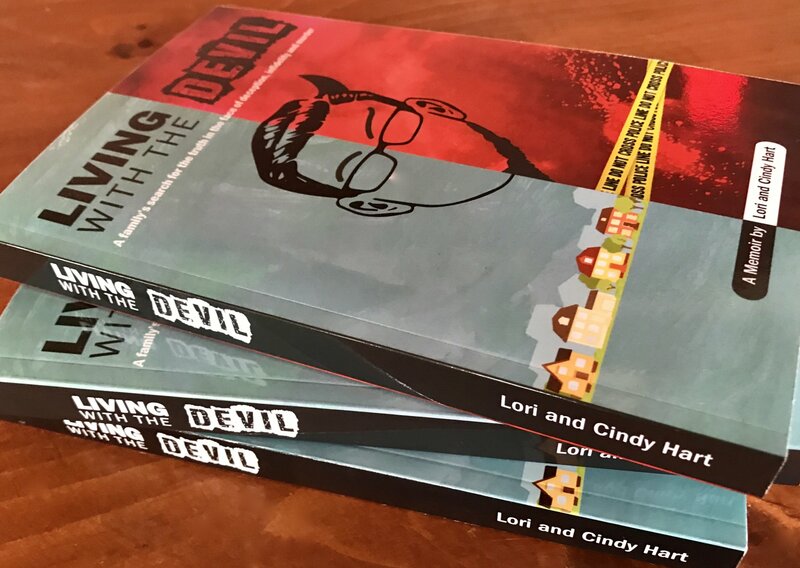 Join us for an evening with Cindy Hart, author of “Living With The Devil” – an unbelievable true story by a local resident. Cindy will be here to recount her life with her step father and answer all your questions. RESERVE YOUR SPOT TODAY – Call the shop at 847-304-0619 to secure a reservation. Spaces are limited. As the principal of his own law firm and known as “Mr. Condo” to his Chicago condominium clients, Donnie Rudd was at the top of his game. Charming, offbeat, and eccentric, he appeared on his own television show and taught at a local college. But behind the public persona of a successful lawyer, Donnie Rudd’s life was unraveling as police investigated the death of his second wife, the murder of a local woman, and claims of fraud by several clients. This fascinating memoir by Donnie’s step daughters describes the chaos of life with a sociopath as the allegations of infidelity, madness, and murder against Donnie interrupt their lives again and again. The sisters recount the riveting true story of events over a span of 40 years that will leave readers breathless and wondering how Rudd was able to evade accountability for so long. In the midst of the madness also lies a story of redemption and triumph as the family overcomes the dysfunction of their early tumultuous life.